Community Lay Ministers are non-ordained people who offer Unitarian Universalist ministry “beyond the walls” of the local congregation, rather than with a gathered congregation. Unlike ordained parish clergy, lay members who perform community ministry use their skills in settings that are typically less visible to the congregation. Many community ministries also require specialized skills related to their particular setting. Examples include hospital chaplains, campus ministry organizers, pastoral therapists, spiritual directors, or directors of a hospice center or other agency providing pastoral support. Community Lay Ministers create a covenant with the leadership of the congregation; the covenant identifies the roles they will take and how the church will support the Lay Minister. The support is often in the form of meeting space, some limited office support, or visibility in the community. Lay Community Ministers are not paid by the congregation, but receive a salary from organizations outside the church. Sometimes a Community Lay Minister offers programs or services related to their ministry skills “within the walls” of the local congregation. The clergy of the congregation and the Community Lay Minister consider both the Lay Minister’s availability and how their gifts will best serve the mission of the congregation. In June of 2018, UUCD’s Board of Trustees voted to accept Kate Raymond as a Community Lay Minister for UUCD. She will be offering Spiritual Direction for some congregation members and in the community our congregation serves. Kate will have our official support as she engages in interfaith programs (such as Spiritual Direction) and programs (such as “Aging to Sage-ing”). Kate Raymond has been a committed member of this congregation for over 30 years. She served as the Director of Lifespan Learning at UUCD for nine years, accepted leadership positions in the District, and served as Chair of the Chapter of Liberal Religious Educators, Pacific Central District. In 2015, she was awarded the District’s 2015 achievement award for excellence in religious education. Kate came onto our church staff as a trained spiritual director through the Bread of Life Center. 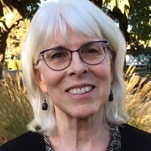 While on staff, she studied Nonviolent Communication (NVC) in the Bay Area NVC program and clinical pastoral care as a chaplain at UC Davis Hospital. She is a credentialed secondary and elementary school teacher and is currently enrolled at Cal State University, East Bay in a master’s in social work program with an emphasis in mental health. Her interests are working with elders through Sage-ing International, offering spiritual direction to the community, and learning how to be an effective mental health practitioner and advocate for marginalized populations in the Northern California area.